The CareGiver Partnership: Are Incontinence Supplies Tax-Deductible? As the costs of medical care and supplies continue to rise, consumers benefit from researching ways to be reimbursed for as many of these expenses as possible. For those with incontinence, there are several areas worth checking into to help defray the costs of supplies. Expenses for incontinence supplies may be tax-deductible if you can show they’re needed to relieve the effects of a specific disease, according to U.S. Internal Revenue Service guidelines. Start by seeing your doctor, who may diagnose you with medical incontinence and may be able to advise you on seeking reimbursement based on your health and financial situation. Ask your doctor for a letter that explains your medical need for incontinence products, then consider the following options. While many private insurance plans do not cover incontinence supplies, you may be reimbursed through a health savings account (HSA) or a flexible spending account (FSA). With an HSA, funds contributed to the account are not subject to federal income tax at the time of deposit, and funds roll over and accumulate year to year if not used. With an FSA, an employee sets aside a portion of earnings, which are not subject to payroll taxes, to pay for qualified expenses; funds deposited into an FSA must be used within the calendar year. With both types of accounts, receipts are submitted to a plan administrator and participants receive reimbursement checks. Medicare is a health insurance program for people age 65 or older, people under age 65 with certain disabilities, and people of all ages with end-stage renal disease. Medicare programs include hospital insurance, medical insurance and prescription drug coverage. To see if you may be eligible for benefits, use the Medicare Eligibility Tool. Medicaid is health insurance that helps many people who can’t afford medical care pay for some or all of their medical bills. If you are a U.S. citizen with limited income and you qualify for Medicaid because of age or disability, Medicaid may send payments directly to your health care providers. Visit Medicaid for information on qualifications and to find a program in your state. Check your telephone book’s county government section for aging and disability resource centers. These county offices may be able to direct you to resources to help you receive reimbursement. Some areas offers diaper banks, where products are donated by organizations or individuals, then given to people who cannot afford them. Although many diaper banks focus on newborns, some include incontinence supplies for adults. Check your phone book or look online to see if your city or state offers this service. Your local senior center may be able to help you find resources as well. For information on resources for citizens in countries other than the United States, visit your country’s government website. 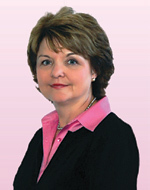 Lynn Wilson founded The CareGiver Partnership based on her experience in caring for loved ones as well as providing the highest level of customer service. She takes pride in offering personalized service that helps her customers find the best solutions for their individual needs. Now that her children are grown, Lynn enjoys spending time with her granddaughter while also helping to care for her mom. To find out how The CareGiver Partnership can serve you, call 1-800-985-1353 M-F 9-4 CDT. This is an excellent compilation Lynn. This pool of information will provide much needed help to many. Thanks for putting this together. :) This is excellent! Thank you for your comments. We are asked about reimbursement and deductibility frequently. Its hard to answer because it "Depends" (no pun intended" on so many things and the rules by State and Insurance company differ. Great Information! I will retweet in hopes that many of our clients can benefit from this information. 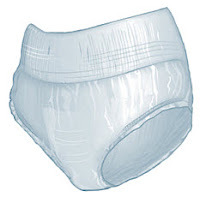 I think its about time to pass a law that would make private insurance cover incontinence supplies. It will be beneficial to people who needs it the most. What is so important that has to be defined before signing off any affordable major medical insurance is the coverage for incontinence because this is not something that can be usually considered in emergency cases. That's very good to know. I've read up on the best humira reviews and now I find this added benefit. Looks like my Dad won't have to worry about what it will take to control his arthritis anymore. Lynn this is very helpful, thank you for the information. Depend Belted Shields. Can't Find Them? Is Bladder Incontinence Related to Cancer?